Presidio GliderPresidio Glider, alt="Presidio Glider, "
Print The compact shape of this streamlined silhouette makes it ideal for smaller spaces. Tactile baseball stitching and a wide contrast band along bottom hem add to its charm. Made in the USA with durable wood frames, swivel glider bases and plush double-wrapped foam-core cushions for ultimate comfort. Sinuous spring suspension for resilient support. 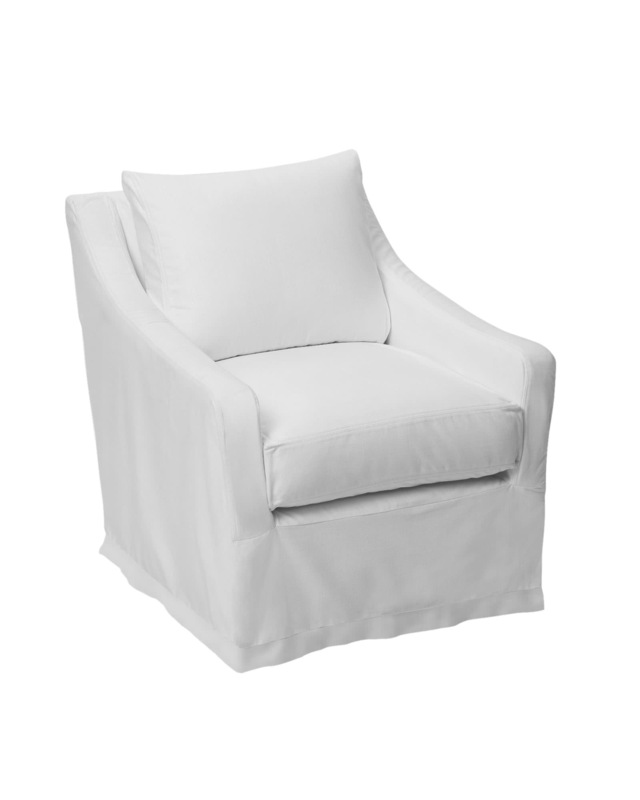 Pair with our custom slipcovered Presidio Gliding ottoman. (sold separately). 31"W x 34"D x 34"H overall.